Filmmaker Philip Grossman has been working for 5 years on a documentary project on Chernobyl, which is going to be released in 2016. Philip Grossman left his high-level corporate job in 2011, to pursue his deep passion: photography. As he explains in his biography available on Exploring the Zone (Philip Grossman’s official website), he chose Chernobyl as subject, to develop his “own cohesive body of work”, almost by random choice. His ancestors were indeed from Ukraine and he grew up in Pennsylvania about 11 miles from the Three Mile Island Nuclear Power Plant. When the accident at the Three Mile plant happened in 1979, he was attending a local school a few miles from the plant, and this experience deeply affected him and his view of nuclear energy. Since his first expedition to Chernobyl in 2011, he has made 5 expeditions and spent nearly 40 days exploring the Chernobyl Nuclear Exclusion Zone. Even if he focused more on photography at the beginning, he gradually switched the focus to video. As he says on his website, “What started as once in a lifetime opportunity to photograph the Chernobyl Nuclear Exclusion Zone has turned into a long term passion project“, which led to a collection of 3,000 curated photos (chosen from more than 15,000 shot) and about 30 hours of video with 50% being 4K. His footage of Chernobyl and Pripyat is really unique. Apart from his dedication and passion, another reason of the uniqueness of his footage is that Philip Grossman was the first person to fly drones in (and over) the Zone. He started using drones, in particular DJI quadcopters, to take videos of specific areas and places in the Zone he couldn’t visit or cover with a helicopter otherwise. 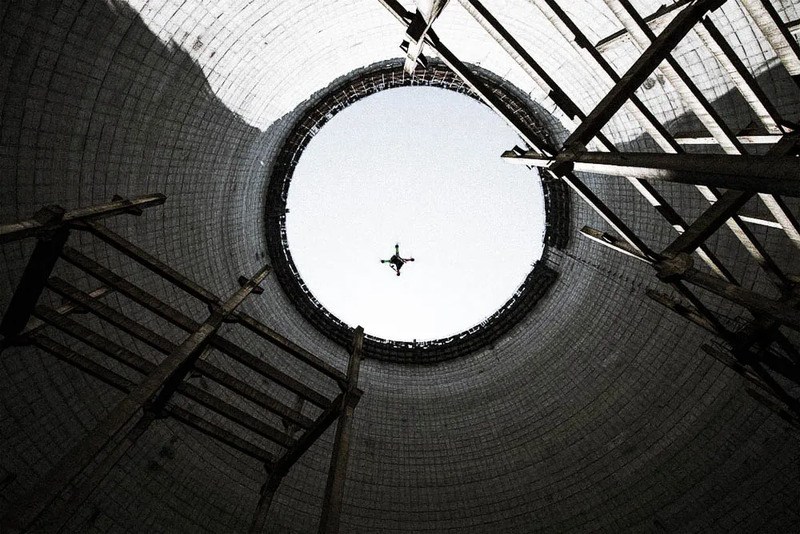 The drones allowed Philip to get a dramatic perspective from the sky of what’s left of Chernobyl disaster site. 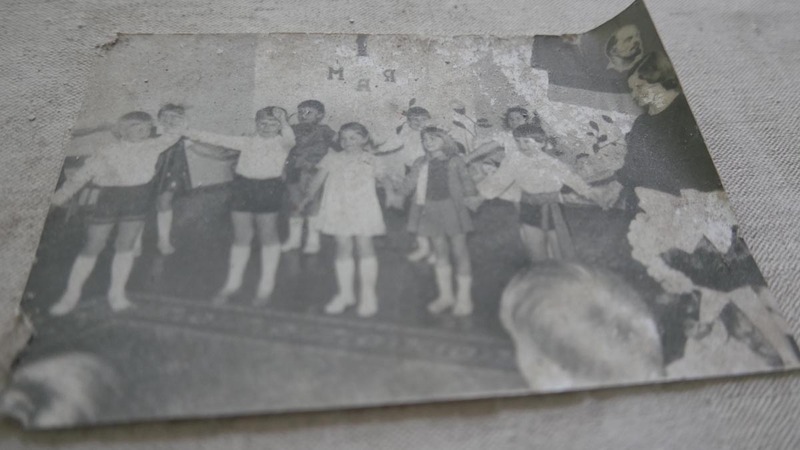 After 5 years, in which he also married his fiancee in Krasnoe, Philip Grossman is now refining his video documentary on Chernobyl and on his own experience “Half-Lives: Love and Energy in the Nuclear Age“. This documentary explores man’s choices for energy and the consequences of those choices. The Chernobyl disaster was the worst nuclear power plant accident in history in terms of cost and casualties. 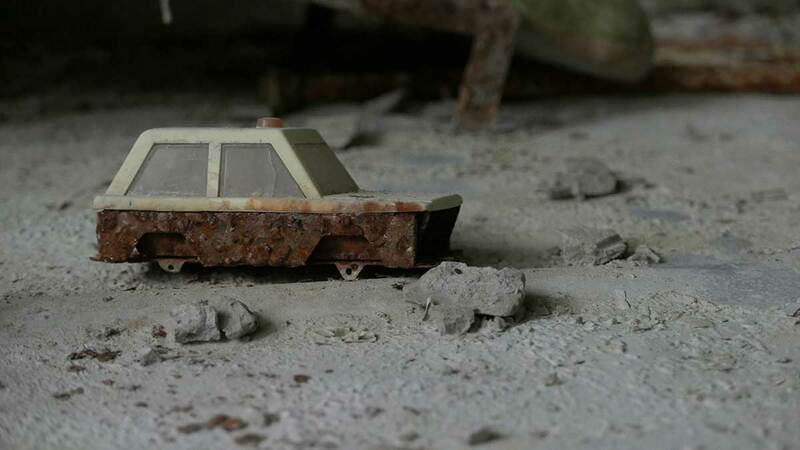 Chernobyl is still considered among the most infamous disaster places in the world. The reactor breach in April 1986 led to a radioactive fallout which then spread over much of the western USSR and Europe. Much of the surrounding area was evacuated, even if with a terrible delay (Pripyat was evacuated 24 hours after the accident, when people had already started dying; the surrounding villages were evacuated after days). The death toll due to radiation exposure is unknown – predictions put the number of cancer deaths in the thousands, but some reports put it in hundreds of thousands. A huge number of side and late effects (including cancer, chronic illnesses of various types, abnormal mutations etc) on both humans and animals in Belarus, Russia and Ukraine is still attributed, even nowadays, 29 years later, to the radiation leak. Philip Grossman’s documentary on his 5 years project in the Zone “Half-Lives: Love and Energy in the Nuclear Age” should be released in 2016, but some related videos and trailers have been released in the last couple of years, documenting different aspects of this project. A few more videos on the Exploring the Zone project are available on Philip Grossman’s official website, and on DJI’s page dedicated to Philip Grossman’s project. If you are more interested in the technical aspects of his videography, I would suggest this great interview with Philip Grossman focusing on his experience of flying a drone and filming with a drone in the Chernobyl Zone. If you want to get updates on the project, please subscribe to the Half-Lives Documentary official website.